You are taking enough calcium, yet your bone is getting weak. You are taking enough iron supplements, yet you are anemic. What does this mean? A good friend of mine just rushed to a hospital due to heart attack but died there. He was a healthy-looking man, and he never thought that he was affected from “hidden kidney disease” (a.k.a. hidden kidney failure, hidden renal disease, and hidden renal failure). Millions of people around the world are fighting against diseases of unknown cause. Some of them might have 'hidden' kidney disease. When we are fatigued or have a high blood pressure, we never think that it can be caused by kidney trouble. Mostly we think that it is caused by overwork or fatty foods we eat. Why can't we think that kidney troubles can create low blood pressure, high blood pressure, arteriosclerosis, sudden death, etc.? Let's take the case of a healthy 40-year-old office worker. When he was examined during a company's medical checkup, he was informed that he had “lack of blood” in the body, but he did not feel anything wrong during his daily work. He took foods that contain more iron, however, his physical condition became worse. He easily gets tired and is unable to concentrate of his work. He became to feel that he is really under the lack of blood. Yes, we now knew that cases of anemia caused by a hidden kidney problem are dramatically increasing. It may be impossible to detect or compare the difference between normal blood level and anemia. You need to consult your doctor to check it. Generally, people who are pale and skinny are said to be anemic. That is a wrong perception! Usually, it is caused by poor blood circulation and other kinds of cerebral problems. Or, these appearances might be caused by advanced kidney or renal disease or what we call “hidden kidney disease”. Even if you take iron supplements, you will experience no improvements in your health condition. It is truly because of hidden kidney disease. Hidden kidney disease occurs without any obvious symptoms, signs, or warnings. Let's take the case of one of our friends, who at the age of 54 was telling us that he lost his focus and energy as well as vitality. He was telling us that it may be because of age. However, most of our friends are still active and energetic even at the age of over 60 years. He was recommended to consult his family doctor, but was diagnosed with deteriorated kidney. The kidney does send signals to the brain for the production of red blood cells. The kidney also controls the blood volume by communicating with body organs through hormones it secrete into the bloodstream. However, if the kidney function fails, you will be in trouble of lack of blood, usually called iron deficiency or anemia. Let's take the case of Mr. K. At 40 years old, he was taking foods that contain enough calcium, but he was told that his bone structures are full of hollows. The kidney produces an activated form of vitamin D to promote the absorption of calcium from the blood, making the bones stronger and denser. However, in the case of Mr. K, calcium was calcified within the blood vessels. Modern medical technology has discovered that calcification of blood vessels may happen even when there's a slight defect in the kidney. This can also damage the capillaries within the kidney. Aside from this occurrence, high blood pressure and hardening of the arteries may worsen the entire physical condition, and it may lead to sudden death, too. Let's take the case of Mr. Ueda. At 55 years old, he was suffering from diabetes, and his kidney was only functioning by 50%. But he did not notice any other physical difference until he was informed that he was suffering from hidden kidney disease. Today, he almost recovered from his hidden kidney disease. He only did meal control suggested by his doctor. Well, how did he happen to know that he has hidden kidney disease? It was because of protein contents found in a urine test. This shows that metabolic syndrome can lead to various diseases. Controlling your meal is very important. Of course, cigarette smoking, stress accumulation and overwork can cause hidden kidney disease, too. There are many causes of hypertension, and one of them is kidney disease or renal failure. Several cases of high blood pressure patients are caused by kidney troubles. At first, why don't you check protein contents in urine? Many patients may find kidney trouble by doing a simple urine test. You can obtain urine testing kits at your nearby drugstores, too. “Creatinine test” is mostly recommended when checking for hidden kidney disease. 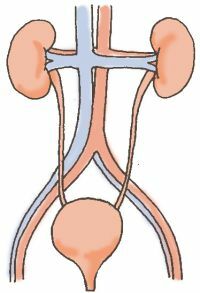 Creatinine is entirely excreted by the kidneys. Therefore, it is directly related to the kidney or renal function. The creatinine level should remain constant and normal when the kidneys are functioning normally. Serious renal disorders will cause abnormal elevations. We know with our decades of experience that the PYRO-ENERGEN helped a lot to those who had hidden kidney diseases! Whether you look healthy or not, we recommend you to do blood test at your nearest hospital at least once a year. Blood test can detect hundreds of diseases ahead of anything else before your physical condition gets worse.